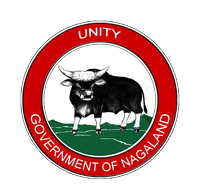 BACKGROUND OF NHHDC LTD : The Nagaland Handloom & Handicrafts Development Corporation Ltd. was set up in the year 1979 as Government of Nagaland Undertaking with the main objective of promotion and development of vibrant traditional Handloom & Handicrafts products indigenous and unique to the state of Nagaland. The Corporation is having its Head office at Half Nagarjan, Dimapur, Nagaland and has 10 (ten) Sales Emporium within and outside the State. The Corporation is also having a production center at its Head Office Complex where it produces both Handloom & Handicrafts products to be sold through its emporium. The Corporation also distributes raw materials to the registered group of Artisans/Weavers to enhance production of fixed rate basis. Further, procurement of finished goods from the registered members are being carried out for sales through its own outlets i.e., Emporiums, organizing various Exhibitions, Fairs and Crafts Bazars within and outside the state are actively being carried out to provide a platform to our artisans/weavers for promotion of their products and also to educate them about the intricacies of marketing world. The Corporation is also being implementing several other welfare activities being sponsored by the Govt. 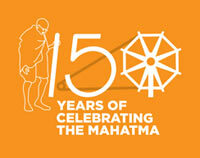 of India for the welfare of the artisans & weavers with a view to improve their socio-economic conditions. PRODUCTION ACTIVITIES : Production of Handloom & Handicrafts activities being of its prime objectives, the Corporation has invested an amount of ` 6,05,682.00 only for procurement of raw materials for production at its Weaving Production Center, Dyeing Center and Craft Development Center . Total value of Production from the above centers amounting to ` 13,11,830.00. The Closing Stock of Raw Materials at the Store amounted to ` 6,08,837.00. MARKETING AND PROMOTIONAL ACTIVITIES : Finished products of the Corporation as well as those production units within the States are marketed through the sales outlet of the Corporation within and outside the State. the Corporation has invested an amount of ` 36,66,308.00 for procurement of Handloom & Handicrafts finished products from the registered production units and has achieved a total sales amounting to ` 36,15,195.00 during the financial year 2015-16(till February, 2015). The Corporation has also conducted several marketing promotional activities during the year under report such as Exhibitions, fairs, festivals, etc. 1. The Corporation has organized 1(one) Craft Bazaar at Golaghat (Assam) w.e.f 22 July ‘2015 to 31 July ‘2015 being sponsored by the office of the Development Commissioner(Handicrafts), Ministry of Textiles, Govt. of India, New Delhi. 2. The Corporation has organized 1(one) Gandhi Shilp Bazar at Urban Haat, Dimapur w.e.f 1 December’2015 to 16 December ‘2015 being sponsored by Development Commissioner(Handicrafts), Ministry of Textiles, Govt. of India, New Delhi. 3. The Corporation has also organized 1(one)National Level Handloom Expo at Naga Shopping Arcade, Dimapur w.e.f 11th November ‘2015 to 24 November ‘2015 being sponsored by the office of the Development Commissioner (Handicrafts), Ministry of Textiles, Govt. of India, New Delhi. 4. National Level Handloom Expo, 2016 at Dwarka, New Delhi from 6 to 20 January 2016 was officially inaugurated by Shri. Alok Kumar (IAS) Development Commissioner (Handloom), Ministry of Textiles, Govt. of India.